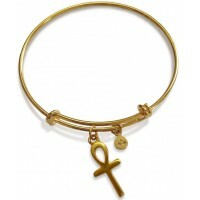 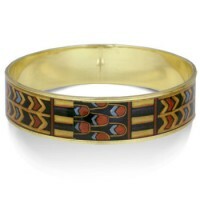 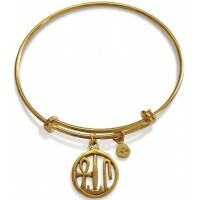 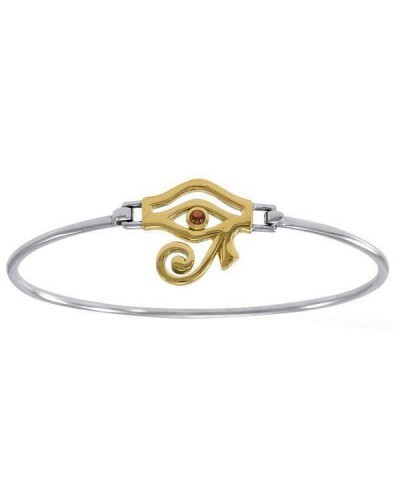 Elegant Eye of Horus, the most protective symbol of Ancient Egypt, is set with a garnet in this stunning bangle bracelet. 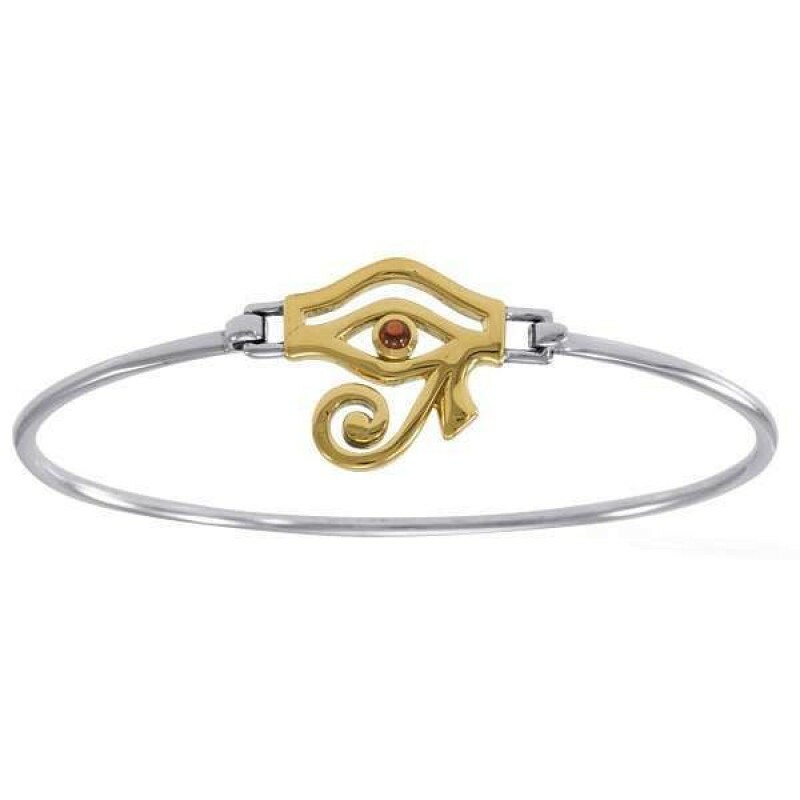 A garnet gemstone is set within the golden Eye of Horus in this stunning spring closure bangle bracelet - it unhooks on the right side to easily fit wrists up to 9 inches in diameter. 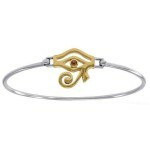 Solid sterling silver with 18K gold plated eye. 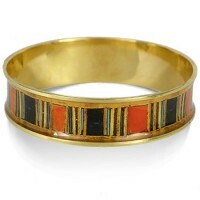 Item Number: PS-MBA184 | Approximate Size (Inches): 0.75 wide x 0.05 deep x 1.30 high | Approximate Shipping Weight: 0.25 lbs.